Spur of the moment decisions are sometimes the best ones and after just a few minutes talking about Flatrock this spring, I was sold. 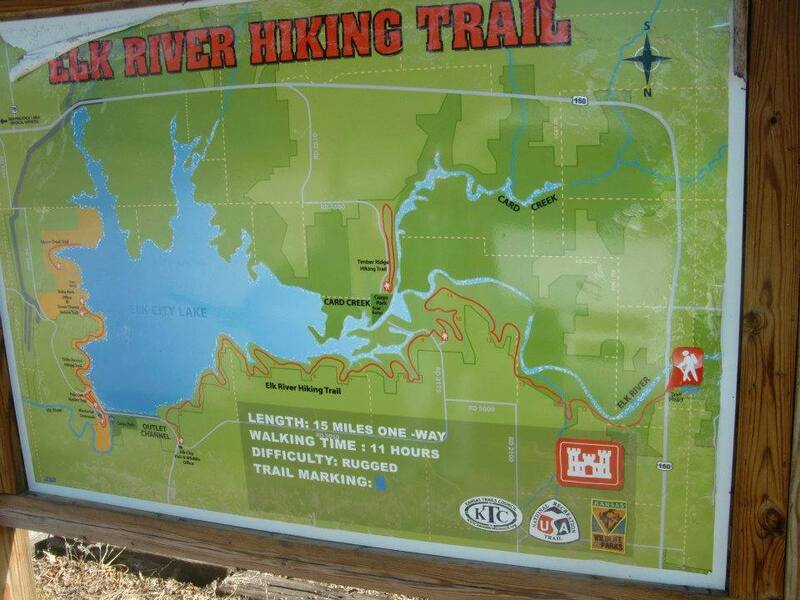 The descriptions of the Flatrock course and the pictures of the trail always intrigued me and put it on my short list of races in the area. After finishing Rocky Raccoon earlier in the spring, I had yet to find a new race for my calendar. The Flatrock 101k was a good fit. 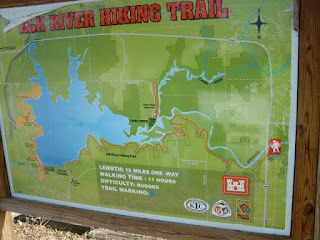 I felt fully recovered from Rocky so ramping up my training a little bit was all I needed to do to be ready for the difficult 101k course around the Elk City lake trail in Independence, KS. 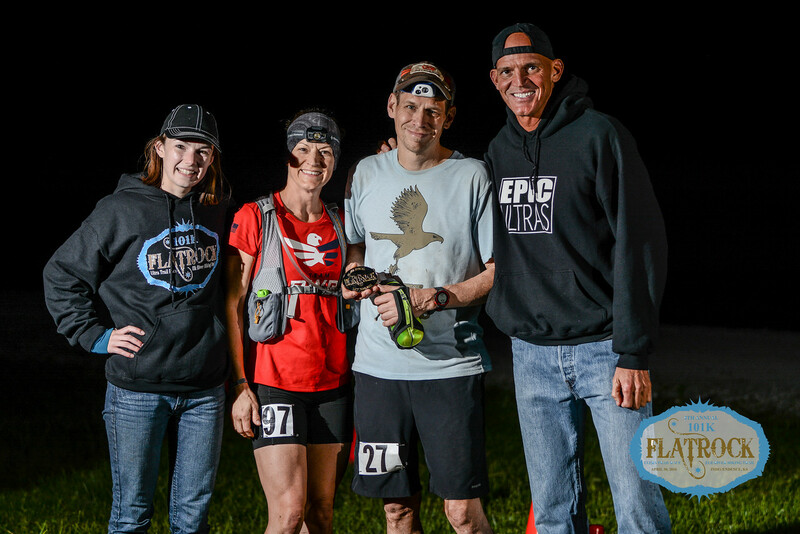 I put together a string of 30+ mile weekends and a week of tapering and I felt great going in to the race. Due to some scheduling conflicts I was a little worried about getting to the race, running, and returning home in time for other personal events. I had learned from Rocky that driving any distance after running 50+ miles is not something that should be attempted, at least not for a couple days. That and the need for a crew and pacer was a bit perplexing. 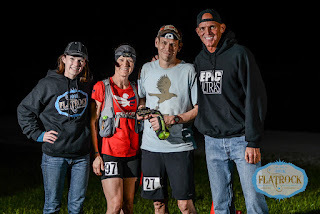 Since the Heartland 50k and 50 milers were scheduled for the same weekend, many of my friends (including my awesome crew from Rocky) were busy. Thankfully, one night shortly before the race at hill repeats, I mentioned my plan to a friend and she was available that weekend and had also always wanted to see the course. Things were falling into place now and Shari agreed to pace me and help with the driving, YAY! The Friday before the race came around and I found myself staring down the buffet line at a banquet I was attending wondering what I should eat and what I should avoid. Normally, the night before a race, I'll have a decent lunch of bland items like potatoes or rice and I avoid eating much of anything for dinner. After tapering for a week, I have plenty of reserves and anything I eat now will just end up causing problems during the race. I decided to keep it light with a salad, and some potatoes but the eggplant parmesan looked too inviting. A decision I would learn to regret. After a very nice banquet (I managed to avoid the cheesecake dessert) I met Shari and we were headed south on 59 highway ready to get to the hotel and get some sleep. It would be an early morning and we had yet to see the course. The weather had been forecasting rain for the morning but clearing skies and sun for most of the day. The rain that was forecast certainly came through with hail and high winds trashing much of the course during the night. It didn't seem too bad during the drive but apparently it was much more extreme on the course. After a bit of a scare finding the start/finish line, we arrived at the tarp-wrapped bunker-like structure offering shelter for the start/finish line. We stashed my drop-bags and checked in. There were many familiar faces and plenty of friendly greetings before the race was underway. As we started down the initial mile of paved road before hitting the trail, the first thing that came to mind was my friend Coleen (an experienced Flatrock finisher) telling me to run when I could since much of the trail was not runnable. I quickly picked up the pace to catch the leaders before ducking into the woods. There really are no pictures that can do justice to these trails. They wind around, over and through many large rocks and crevices that surround a beautiful lake and river. The early morning rain and hail made the trail that much more green with fallen leaves. Everything was absolutely stunning. I joined up with Craig and Roger from Iowa and we moved along at a decent pace. I think we were in 4th, 5th and 6th place at that point. At various points on the first out and back (the course is two 15 mile out and backs and a few miles of paved road) I managed to move up past Craig and Roger to 4th place by moving quickly through the aid stations. I was eating and drinking fine and popping my Tums and salt caps as usual. After climbing through a disaster zone of downed trees just prior to the turn around, I was moving fast and feeling good. I held that pace all the way back to the start/finish, ready to pick up Shari and take my mind off things for a while with some good conversation. I quickly grabbed some gels and salt from my bag, changed my socks, and headed out with Shari. We caught up to Wayne who left just before us and the three of us moved along quickly. It was just about then that my stomach started feeling "funny". I don't know if it was sitting down to change socks or what but something shifted things around and I could tell things weren't going well down below. I think I visited the woods 3-4 times on the way back. Wayne left us at the Oakridge aid station while I downed as much ginger ale as I could get my hands on. I think 2-3 more people came in and left while I walked around belching and groaning about the pain in my side. Thanks to a very resilient stomach, lots of ginger ale, and more Tums (and good conversation) I managed to keep things going at a walk/run pace. Shari was so supportive while I continued to complain and moan about my sour stomach. I know she had her doubts about keeping up with me but I assured her that she was more than capable. She was more than capable and kept me going with good vibes, stories and positive conversation. I'm not sure I would have kept going if she hadn't been there. Even with my stomach trouble and the grueling muddy course, I managed to keep a 15:00 pace through the whole ordeal finishing 7th with a time of 15 hours and 45 minutes. I was hoping for a 15 hour time frame and was very pleased with my performance. I always wonder how people can eat just about anything and keep on running. I still don't understand it. It's just a matter of genetics I guess. My stomach just won't have anything to do with it. As long as I stick with bland food, gels, chews, or waffles, I don't have any issues. I just need to avoid anything complex during (or before) a race. If there was one thing I learned during Flatrock (aside from how valuable good conversation can be during difficult times) it's that no matter how good something looks or tastes the night before, it should be avoided at all costs. Unless you like spending time in aid stations while the competition passes you by just a few miles from the finish. *update* Forgot to mention the awesome biscuits and gravy at the end. That tasted so good and calmed my stomach down right away. The cook was awesome and she made me fresh eggs covered in gravy as well. It was incredible. I also forgot to mention how great the race support team was. They were out on the course at first light clearing the trees off the course. There was one section that had many large trees down and they did an amazing job them from the course before we hit them on the second loop. It was most impressive indeed. Great job Epic Ultras! Next up, my yearly visit to Colorado for the Bolder Boulder!